In what appears to be an almost monthly tradition, Barcelona and Real Madrid are set to embroil in yet another transfer tug of war. 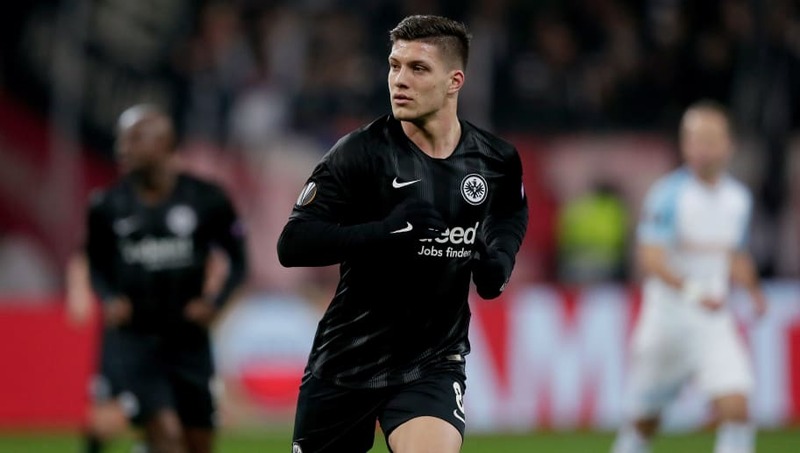 This time the subject of the rumours is Eintracht Frankfurt's Luka Jovic, a lethal striker who is currently outshining some of the very best the Bundesliga has to offer. Whilst Barcelona and Real Madrid continue to squabble for the Serbian's signature, here are six things you need to know about him. Jovic began his career with Red Star Belgrade and it's fair to say he had an immediate impact. He made his debut in 2014, coming on as a substitute against FK Vojvodina aged just 16 years old. He went on to create history, scoring a late equaliser to become the club's youngest ever goalscorer, sparking a Serbian media frenzy in the process. 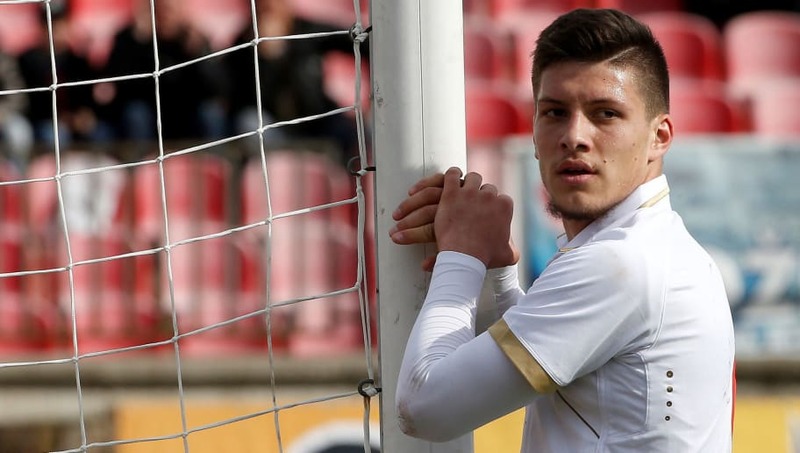 Financial issues forced Red Star to sell Jovic in 2016, but not before he registered a further 12 goals and four assists two years - not bad for a teenager. 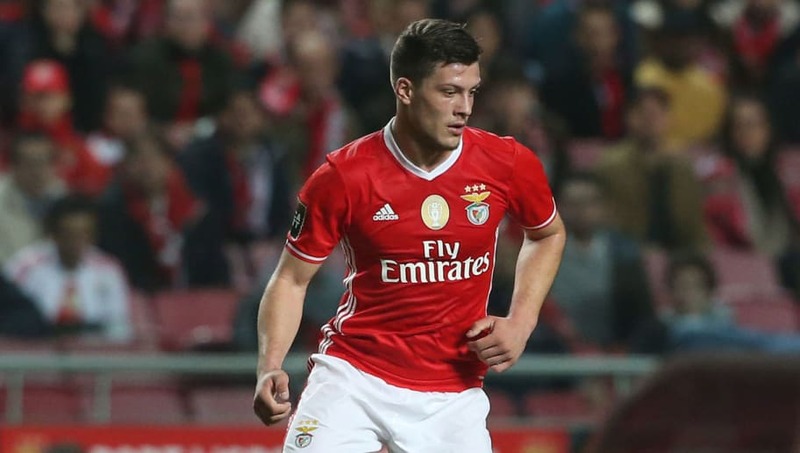 Red Star sold Jovic to Benfica, but the Serbian failed to make any sort of impact in Lisbon. He was behind Jonas, Raul Jimenez and Kostas Mitroglou in the pecking order, which meant that first team opportunities were hard to come by during the 2016/17 season. One of his only chances to start for Benfica was also wasted when he was spotted at a night club just two days before a match. One year and four appearances later, Benfica opted to ship Jovic out on a two-year loan deal to Eintracht Frankfurt. 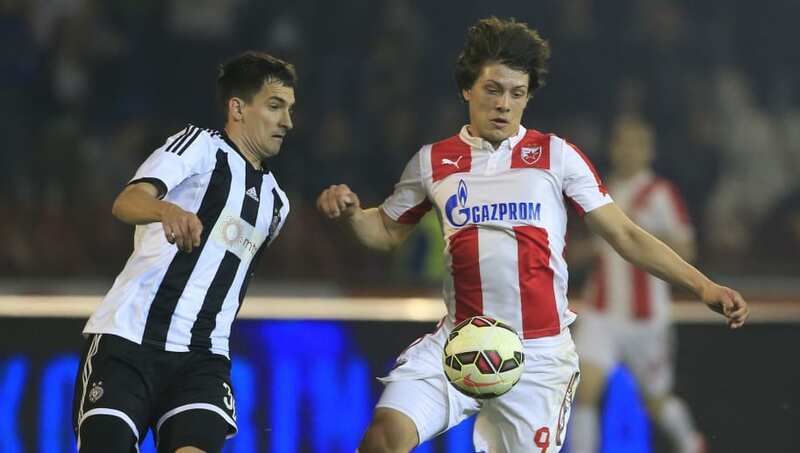 Red Star general director Zvezdan Terzic previously claimed that Jovic could become the 'Serbian Radamel Falcao'. That's high praise, especially as Falcao happens to be Jovic's role model. Comparisons like that should always be taken with a pinch of salt, but given the fact that Jovic is now scoring goals for fun in Germany, it is easy to see why he was so highly rated. 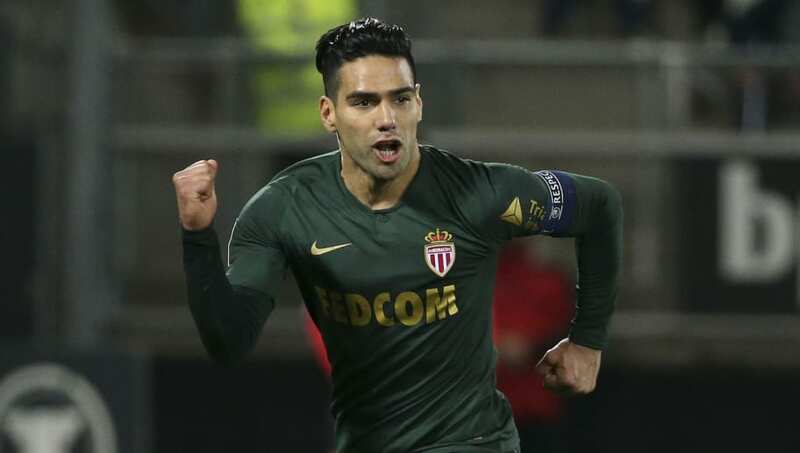 Here's hoping that he's trying to replicate Falcao during his prime at Atletico Madrid...rather than the Colombian's disastrous spells at Manchester United and Chelsea. Goals seem to come rather naturally for Jovic, as proven by his track record at international youth level. He's represented Serbia at five separate levels, scoring 44 goals in a combined total of 59 appearances, which is nothing to be sniffed at. His performances during the 2017/18 season were also enough to book him a place in Serbia's 23-man squad for the 2018 World Cup in Russia, where he made an appearance off the bench against Brazil in his country's final group match. Jovic has made a bit of a habit out of breaking records. He stole the show back in October when Frankfurt hosted Fortuna Dusseldorf, scoring five goals as his side romped to a 7-1 win. He became the youngest player in the Bundesliga to achieve that feat; whilst also narrowly missing out on equalling Gerd Muller's all time Bundesliga record of six goals in a single game. The shirt Jovic was wearing that night has already been placed in the club museum, which may be a little over the top. 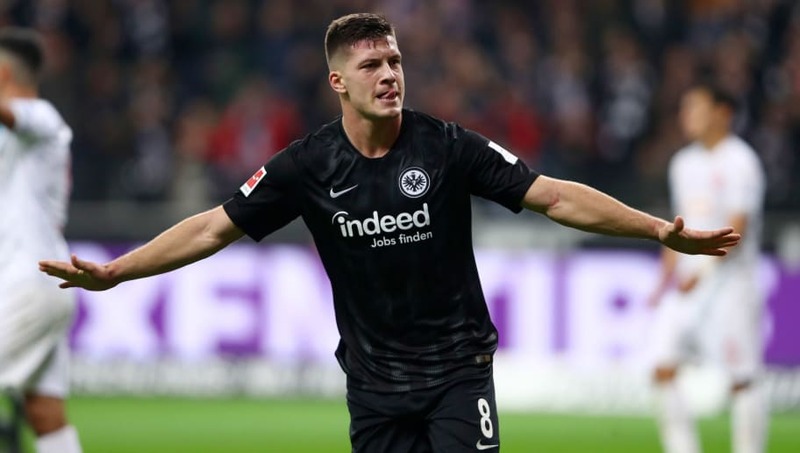 Jovic enjoyed a decent first season with Frankfurt, scoring nine goals in all competitions, but he has burst into life in 2018/19. He leads the goal scoring charts in the Bundesliga with 14 goals, and he also scored five goals in the Europa League group stages as Frankfurt booked their spot in the knockout rounds. Attack-minded manager Adi Hutter has liberated Jovic, allowing him to roam freely and express himself up top. The results speak for themselves and, with plenty of the season still left to be played, Jovic is almost certain to add to his current tally.